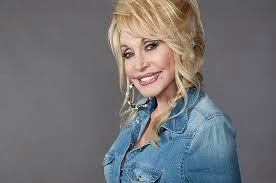 Is there a more consummate, complete and accomplished entertainer in country music than Dolly Parton? On the evidence of her performance during the UK leg of the Blue Smoke World Tour the answer is highly unlikely, although it would have greater credibility if an increased number of American arena acts were prepared to bring their lavish productions to this country. Even then it would be tough to match the warmth and affection that radiates from Dolly as she eases her way through a back catalogue that reaches out far and beyond the genre of her roots. A near capacity LG Arena rode the waves of her emotion throughout this two set show, allowing the sound of just a mere pin drop for the three part harmony unaccompanied ‘Little Sparrow’ and raising the roof for the unlikely anthem ‘9 to 5’. The span of interest in this latter song amazingly grows wider with each generation and is one of the main reasons that her stock in the UK has been propelled to arena level. However the bedrock of Dolly’s appeal is the way she weaves the substance of her roots into the stage show and portrays a convincing portrait of how her Smoky Mountain upbringing formed the legendary artist that continues to sell out venues just a couple of years shy of her 70th year. There may have been better vocalists, more influential song writers and skilled musicians but the package Dolly puts together with an absorbing stage aura keeps the momentum going and the miles on the clock seem permanently halted. Of course a new record ensures a fresh approach and it was pleasing to hear so many tunes from BLUE SMOKE fill Birmingham’s premier concert arena. Not that many of these songs were new to the wider world, as she savoured the song writing of Dylan with ‘Don’t Think Twice It’s Alright’, re-ignited the traditional murder ballad ‘Banks of the Ohio’ and gave Bon Jovi’s ‘Lay Your Hands On Me’ a gospel makeover. While admittedly being a touch critical of the album version of the latter, it came across with far more appeal on stage. 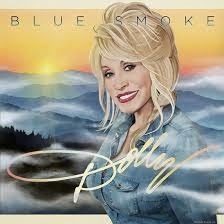 ‘Home’ and ‘Blue Smoke’ completed the compilation of newly recorded material as Dolly skilfully revisited the styles which helped shape a career that crossed over at several lucrative intervals. For me the magic will always lie in the spirit of Appalachia with ‘Coat of Many Colours’, ‘My Tennessee Mountain Home’ and ‘Rocky Top’ leading the way as Dolly’s band superbly adapted their skills to breathe authenticity into a sound not too commonly heard in such a venue. The 9 piece band consisting of 3 backing vocalists, 2 guitarists, percussionist, bassist and a fiddle and keyboard player were clearly in a supporting role. There may have been scope to develop the instrumental side of the show especially with the bluegrass sound but any experimentation was left to Dolly as she tried her hand on numerous instruments including guitar, fiddle, lap steel, harmonica and banjo. While for many the finale was the highlight, including the popular duet ‘Islands in the Stream’ and the soaring ballad ‘I Will Always Love You’, there was a segment in the second half where Dolly perfectly hit her groove with a medley led by, perhaps the finest performed song on the evening, ‘Old Flames Can’t Hold a Candle To You’. As you would expect ‘Jolene’ and ‘Here You Come Again’ were met by rapturous approval as was the trademark non-discreet humour that Dolly has cleverly woven into her shows over the years. Dolly Parton is an artist kept young by mutual love and it is a treasured experience that she can bring a raft of country music heritage to such a diverse audience. Her path may have led her in many different directions but there will always be more than a hint of Tennessee in her act and a trail has been set for other country artists to connect with Dolly Parton's UK fan base.